Visit Jen at Teach MentorTexts and Kellee and Ricki at UnleashingReaders to see what they've been reading, along with everyone else who link up. Sheila at Book Journeys began this sharing, and it's now hosted by Kathryn at The Book Date. 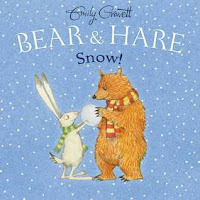 I read some more terrific books from last year, and one more “snow” book from Emily Gravett. Because I am one of those who thinks herself white, that group Ta-Nehisi Coates calls the Dreamers, those who’ve supported all their actions as following the “dream”, I am saddened that I have not done enough. This letter to his son, to help him find a way to keep safe, tells of Coates’ own life of questioning. He writes, “I have spent much of my studies searching for the right question by which I might fully understand the breach between the world and me. I have not spent my time studying the problem of “race”--“race” itself is just a restatement and retrenchment of the problem. “ He explains that the plan, by those who believe they are white, is always to have some groups “beneath”. And that makes sense, doesn’t it? To have power, one must be on top. And to be on top is to be supported by many, many underneath. Those words underlie other stories of Coates life’s journey of fear and the need to understand and protect himself, and now, his son. He explains how much time is robbed from parents as they advise their black boys and black girls that they must “be twice as good” which is to say “accept half as much” When one’s child leaves the house, having been told all the ways to “act”, and knowing that often it doesn’t matter if she or he crosses the wrong path. There is goodness in this telling, too, of those who hope and don’t stop hoping. Yet even in the first pages, the name of Tamir Rice is mentioned, and now we know, here at the beginning of 2016, the ending of that story, too. Others are told in the book, the stories we, the Dreamers, so often protest, about the tragic deaths of Michael Brown and Trayvon Martin. And then we forget. Ta-Nehisi Coates’ letter is full of love from a father to his son, and full of fear for him also. Everyone should read the story, and fill themselves with questions. These two friends open the door and “It’s snowing!” Hare loves snow, but bear isn’t so sure. Hare makes a perfect snow angel, but bear sinks down. Hare makes a small snowball, but Bear makes a huge one. Well, you see how this is going. But there is hope, and it comes at the top of a hill. Finally, Bear learns that snow can be fun. 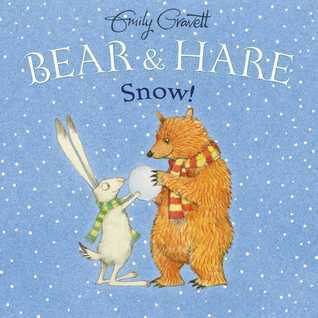 For the littlest ones, Emily Gravett uses her beautiful expressive illustrations to show the feelings and the fun between Bear & Hare. 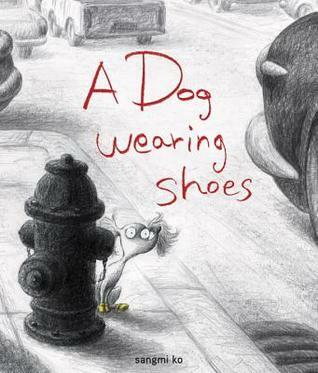 A young girl, Mini, and her mother are driving home from Grandma’s when there, in the road, is a little dog wearing shoes. There is no owner around, so they take him home. He is adorable, and Mini loves, loves, loves him. They go to the park, get lots of attention which makes her love even stronger. But she goes too far, and lets him off the leash to show how he fetches. Instead, he disappears. The sadness of her loss, then the joy of finding the dog once again shows Mini how much the real owner must miss this sweet little dog. They put up signs and the real owner is found, another little girl. Mini realizes that she must adopt another dog. It’s a sweet story, showing how empathy works, as well as a kindness done. There is a page about shelter adoption at the back. Sangmi Ko’s illustrations are in black and white pencil sketches, with lots of detail and expression. 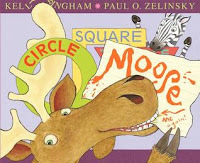 How can I not read and giggle all the way through as Moose ruins still another of Kelly Bingham’s stories. Kelly tries really hard to explain, in cute rhyme, what each shape is and how it is recognized, but more and more, Moose jumps in to join the fun. Thank goodness, Zebra also appears to help, but you’ll need to read the rest of the story to discover what happens next. Very cute story, especially if you’re ready to laugh out loud! 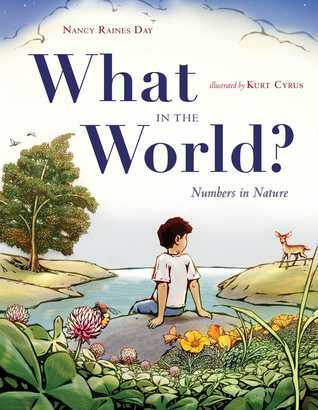 This would be such fun to use as a mentor text for an art and math activity. In rhyme, Nancy Raines Day starts with the number “one” and questions, all the way to ten. One example is “What in the world comes four by four? Petals of poppies, hooves--and more.” Each answer is illustrated in double-page spreads, beautifully colored with black outlining , and the new question lies in one part of the page. There is a surprise at the end, and an explanation of what makes a set in the back matter. What’s Next: I have The Marvels by Bryan Selznick ready to start, one of the books on my #MustReadIn2016 list! Then I also will begin reading and examining the Cybils Poetry Finalists. I am a second round judge. There are wonderful books ahead for me to read. You can find all the finalists HERE! Labels: A Dog Wearing Shoes, Bear & Hare Snow!, Between The World and Me, Circle Square Moose, It's Monday, What In The World? It is wonderful, complex and uncomfortable, Myra, and helped me be more thoughtful for today's conflicts and for the past. I'll be interested to see what you think too. Happy New Year! Between the world and me is on my mustreadin2016 list. After reading your comments above, I'm so glad it is there. I'll look for your review of it, Cheriee. No one should miss it! Thank you! I keep coming across books by Ta-Nehisi Coates and think I need to add them to my must-read list for this year. Between the World and Me looks like a good one to start with. It is very good, Kay. If it means anything to you, it won the National Book Award for non-fiction last year. Enjoy! 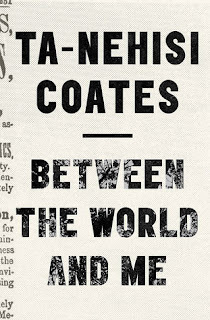 My retire teachers books group is reading Between The World and Me - Ta-Nehisi Coates for our January book. I will start it later this week. I have heard such good things about it. Thanks for sharing. I hope that you begin good conversations about this book, Joanne, and share, too. I'm hoping to finish Between the World and Me today (though I think I said that last week as well!). Very important read--and surprising too. He's really saying something new in this book that I haven't read anywhere else. I need to get online and read his articles for The Atlantic at some point too.... I just ordered the Kelly Bingham after reading your blog. 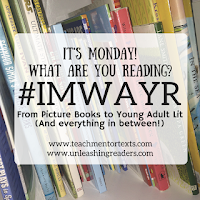 I need a book to giggle my way through! 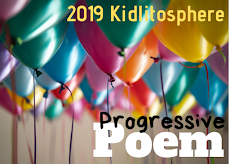 Enjoy all of that wonderful poetry! The book's premises made me think, but the next step is to decide what to do about it, too. I'll look for your review, Elisabeth. Enjoy that silly moose! I loved reading your thoughts about Between the World and Me. Such an important work of literature. Thanks, Beth, I have lots of thoughts roaming around my mind, would love to have a conversation with many about this. Between The World and Me was a stunning work - I followed that with as many podcasts as I could find, just because I feel his message is one that is so important for us to pay heed to, to figure out how we must address the underlying tensions, and the willful of those who have the power to bring about meaningful change. Thanks for sharing your thoughts, Linda. I'm glad to hear from others of you about the book, and wish I had had a group to read it with. I marked quite a bit, am upset by it, which is the way it must be I think. Thanks, Tara. I had never heard of Ta-Nehisi Coates before I started following book bloggers, this simply isn't a book that I've seen really displayed anywhere on bookshelves in libraries or book shops in my city, which is disappointing, but I'll have to get my hands on a copy. Too bad it wasn't featured. It's a best seller & as I said above, it won the National Book Award for non-fiction last year. I hope you like it, Jane. 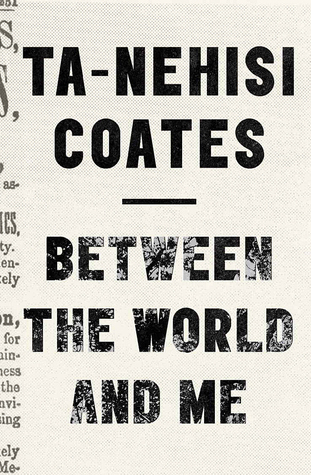 Ta-Nehisi Coates is on my TBR list and I'm looking forward to reading it. I also need to get my hands on A Dog Wearing Shoes. Have a great week! Thanks, Jana, A Dog Wearing Shoes is a surprising story, will bring lots of discussion points I think when reading aloud. Hope your week is good, too. Between the World and Me is one that I will likely revisit. There is so much in that little book that speaks to what is happening in our society. I hope you enjoy The Marvels. It is truly an amazing tale. I'm sure I will re-read parts of it, too, but want to catch up with Coates essays also. I need to start The Marvels before the poetry overwhelms me, 3 verse novels this time! I know they'll be good, but it's a lot! 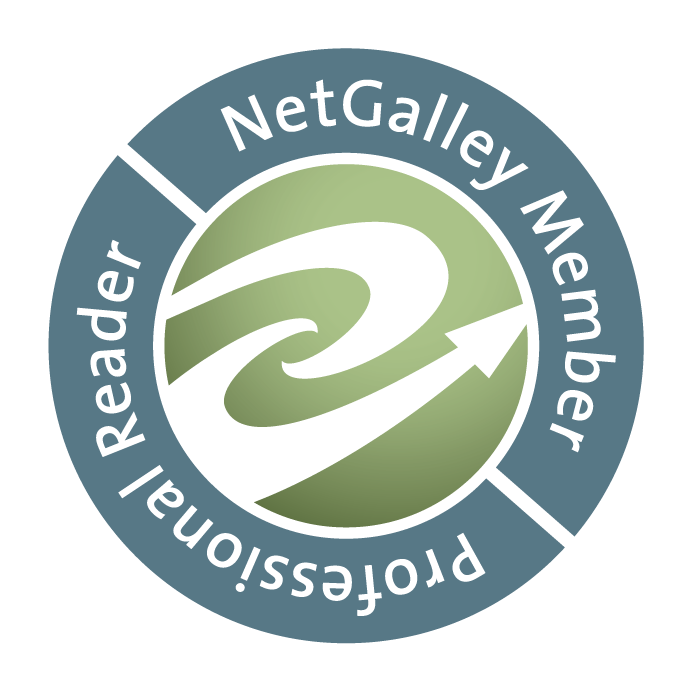 Thank you for your review of Between the World and Me. I'm on hold for it at the library. It sounds like a book to read slowly. It took me about a week, but I did have company until Sat. am. I read most of it this past weekend. I hope you enjoy its thoughtfulness, Michele. Between the World and Me looks beautiful and intense and amazing. The Marvels is on my #mustreadin2016; I cannot wait to read it. Both are important in different ways, perhaps, but maybe they are equally important for challenging our thinking. Thanks Kellee. I hope your week back goes well. Between the World and Me is a title I really want to read. I am number 237 at the library (but there are 37 copies) Thanks for your words about it Linda. Made me even more certain that I must read it. You're welcome, Carrie. I hope you find it powerful and illuminating as I did. I found Between The World and Me to be quite powerful, too. It is going to be a difficult book for me to review because it is so hard to describe it in words, but you did a beautiful job. Thanks, Ricki, I wasn't sure that I said enough, because there is so much to share. Reviewing such a book is a challenge. I wanted to entice, but didn't want to try to re-write what Coates wrote so beautifully. I'm glad you thought it was okay.